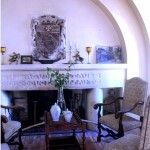 Tech-Dry saves an over 400-year-old French Maison from its damp issue. 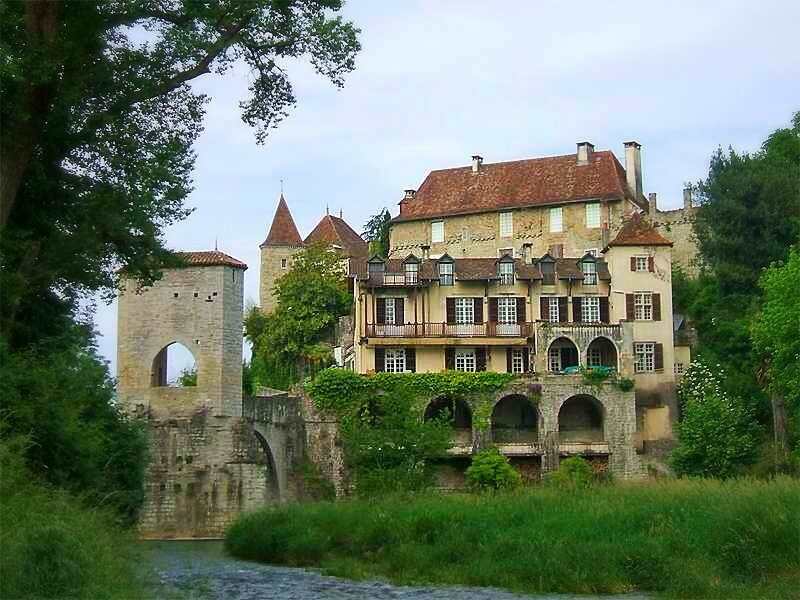 Tech-Dry solves a centuries old damp issue problem in a historic building in Sauveterre de Bearn, France. 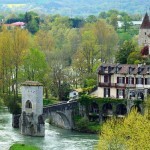 Adventurers, Darren and Echo Benson, purchased a property in Sauveterre de Bearn, South West France nestled on the banks of the Oloron River. The site is famous for its proximity to The Pont de La Legende which takes its name from an incident in 1170 whereby the Princess Sancie was thrown bound from the bridge by foot and hand but managed to float to shore safely and was deemed innocent of the crime accused. The Benson’s plan is to convert the property into a hub for bicycle riders and other outdoor enthusiasts who embark on rides in and around the Pyrenees where the Tour de France is staged. One of the major problems of the building is dampness due to the climate and the old construction methods. There are over 100 square metres of historic ceramic tiles and mortar set on an ancient soil & stone base. Of course, the soil was damp due to there being no membrane laid under the concrete nor under the tiles. Therefore, rising damp has occurred under the floor which was carrying damp and salt to the surface of the tiles. To rectify the problem by traditional methods would have required demolition of the tiles and grout and the concrete base and renewal with a membrane and new tiles. This would have not only been against their plan to preserve the antiquity of the piece but also required a considerable expenditure in time and materials. Tech-Dry scientists knew that if by silicone-nanotechnology, that is, a layer of polysiloxane could be incorporated in the top 20 mm of the tiles and grout then there was a good chance that the damp and salt would be halted at the base of this 20 mm layer. Any residual salt within this layer would possibly migrate to the surface and could easily be removed. 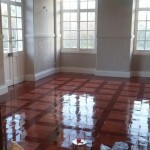 So, Monsieur Benson flood applied a silane with a catalyst onto the surface of the grout and tiles over several hours. This enabled deep impregnation of the silane into the surface. The material then polymerised in situ resulting in the formation of an impregnated, water-repellent layer within the tiles and grout. A small amount of salt migrated to the surface and was removed and…. voilà!… problem solved! Necessity was once again the mother/father of invention.